There are lots of reasons to invest in the best kayak for kids. Getting the kids outside and on the water is one of my favorite things to do with my grandkids! Now that they are a bit older, I wanted to get them their own kayak, rather than putting them in the front of a tandem one. When I started researching kid’s kayaks, there was not a lot of information all put together in one guide. That is why I put this information together to help others decide which is the best kayak for their children. I took into account several models, and compared several factors to come up with my picks for the best kayak for kids. Keep reading below and I am sure that you will find one that is right for your kids! One of the first things to consider is the weight of the kayak for kids. Something lightweight is going to be easier for them to help carry and easier to steer. The length of the best kids kayak is going to depend on your child. Six foot kayaks are the most popular kayaks for kids, but decent lengths for kids can go up to 8 feet. A wide stable kayak is going to be important for your child’s first kayak. All of the models I have listed below are going to offer decent stability for them to learn to paddle and navigate on the water. Something to always keep in mind is your budget. It is important to have a realistic budget and then make the best choice for your child taking into account what you can afford. A few added features to look into are towing ability and cockpit style. For beginner kayaks, you are likely going to want to have the ability to tow them when their arms get tired or if you end up in a stronger current than your child can manage. An open concept kayak cockpit is important for beginners to be able to enter and exit and also learn to reenter from the water. The Lifetime Youth Wave Kayak is a popular solo kids kayak that comes with a paddle. It is 6 feet long and lightweight for a kids sit on top kayak. The Lifetime wave youth kayak is rated for children up to 130 lbs and over 5 years old. The cockpit is ergonomically designed for balance and motor skills, has multiple footrest positions and has a swim up deck in the design. You can read more reviews on amazon. Many speak to how stable this kayak is and how it can even be used for fishing while standing. Read one of the hundreds of reviews on Amazon. 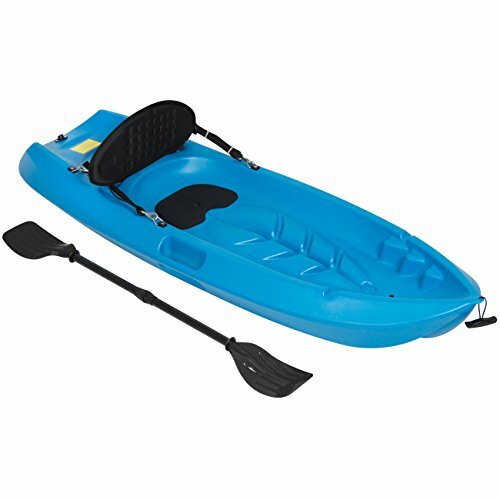 This Best Choiceyouth sit on top kayak 6’ model is lightweight, comes with easy carry handles and has thought out features such as a water bottle holder. 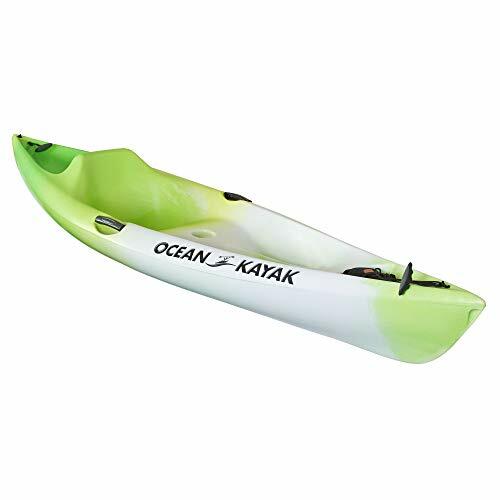 This open cockpit style kids kayak has an adjustable padded backrest, a stable design and is ready to use right out of the box. This kayak for kids is rated for 121 lbs. The Sun Dolphin kids kayak is 6 feet long like other kids kayaks, making it easy to carry, manoeuvre and track. It is a sit on top kayak with an open cockpit, paddle holder and a large, comfortable seating area. Its maximum capacity is 140 lbs and it weighs just 23 lbs. A kids kayak paddle is included with this model. 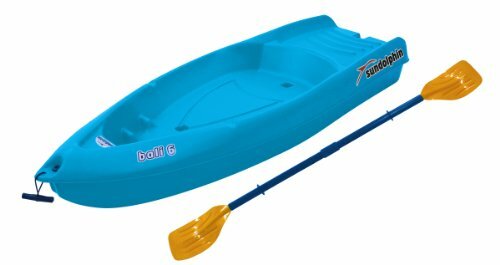 The Sun Dolphin 8 foot kayak is not marketed just for children, but its compact size at just 8 feet long and its more generous weight capacity makes it one of the best kayaks for kids. Adults under 200 lbs can also enjoy using it where most other kayaks for kids do not accommodate such high weight limits. It tracks and paddles with ease and comes from a name brand in the kayak world. Another benefit of the Sun Dolphin kayak is its padded backrest and dry storage compartment. 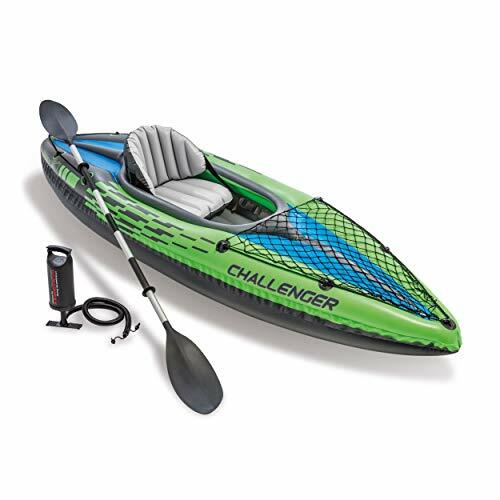 The Intex Challenger K1 in a puncture-resistant inflatable kayak not made specifically as a youth kayak, but a great contender and it is actually the kayak my daughter owns after we compared all of the inflatable kayaks on the market. It is one of the best children’s kayaks for sale for a few reasons. Firstly, since it is inflatable, it can easily fit into the trunk of a car. It is lightweight, durable and affordable. It is also rated for 220 lbs so adults and children can enjoy it. 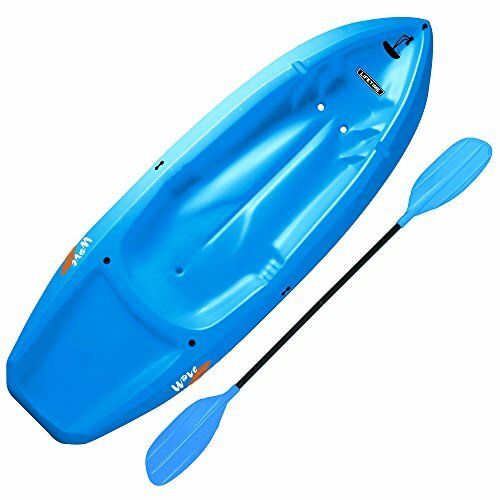 This is the largest of the kids kayaks that I suggest at 108” long but it is comfortable, has a cargo net for storage and comes with a paddle. Check out this footage of a teenager blowing up her cheap kids kayak! It shows a real look at how the Intex Challenger inflates! The child kayak from Ocean Kayak is low profile and has a kid-friendly designed seat. It has side handles and front and back toggles as well as a moulded in cup holder. It is a larger size compared to other kids kayaks at over 9 feet and weighs 36 lbs. But it has a 230 lb weight capacity which makes it work for teenagers and smaller adults. This is not a cheap kids kayak, it comes from a well known brand in the kayak industry. Kids kayaks are small enough to fit into the back of the truck and much lighter at about 20 lbs. They are a great way to get out on the water with your children, and I have been fortunate to be able to teach my grandchildren to paddle and to fish while out on the lake. When you are teaching kids to kayak, make sure you start with the safety features and include a kayaking life vest, and a safety whistle. You can check out this great guide for Safe Boating, although it is a Canadian guide, I love how it is laid out. To read the American regulations, click here. 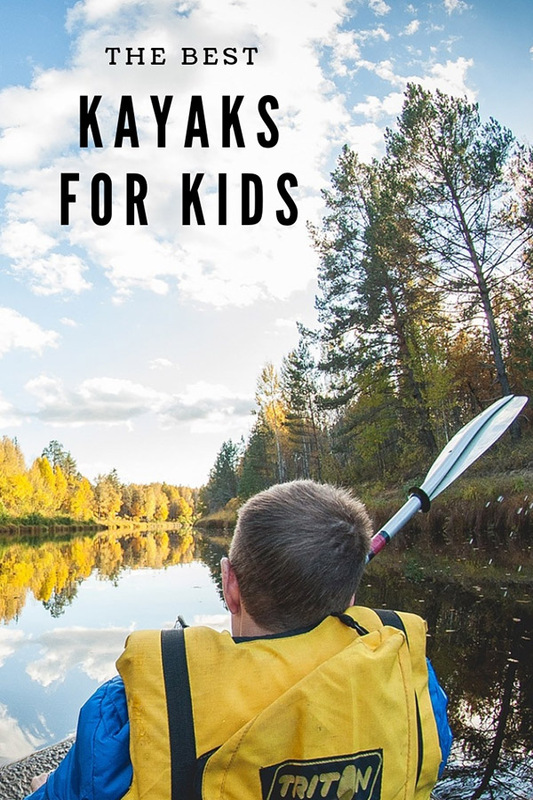 I hope this guide to the best kayaks for kids has helped you decide on which yak will be the best for your child or grandchild or any kids that are special to you!